This route has been changed with the re-opening of the Manhattan Bridge. The B-train prior to the bridge closure ran along the West End Line in Brooklyn. 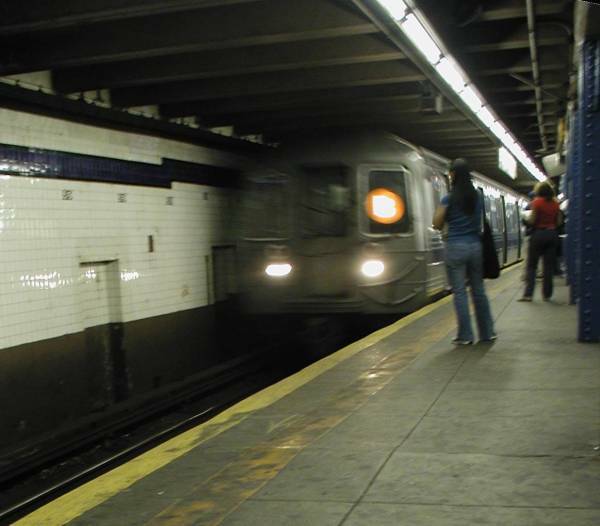 During the part of the closure the W-Train was created and ran in Brooklyn. Now the D-Train runs along the West-End line, and the B-train runs along the former D-Line on the Brighton Line in Brooklyn. Are we confused yet?